A complete avoidance of any gluten containing food, including not just wheat, rye and barley, but also soy sauce, modified food starch, ice cream, soup or alcoholic beverages. This will reduce the production of the toxins and will give a chance for cleansing the body! Abstain from milk or any milk product until the healthy intestinal function is restored. Regular intake of high quality raw veggies and fruits will supply plenty f enzymes to our body and enzymes will not only help digesting gluten, but they also digest inflammatory proteins and markers. Stimulation of a more efficient pancreatic function in a key issue since pancreas is one of the most important digestive organs responsible for manufacturing of many different enzymes. We do this by using very specific nutritional supplements. Although vitamin Bs (esp B1, B2, B3, B5 and B6) and omega 3 fats (the essential fatty acids) are mainly deficient in those patients, supplementing them in the beginning could cause more problems due to the presence of active microbes in the body. They will also feed the bugs!!! In the later stage of the treatment, they will be totally fine but not from the beginning!!! Addressing stress as the most important debilitating factors for our health is a major point to consider. Long-term stress, whether physical, emotional or others will compromise immunity and digestive functions in everyone! It is, therefore, very important to recognize the source of the stress and address them properly to suit the individual. Quantum technology in medicine not only could detect the possible allergies and sensitivities in people, but also it could desensitize the body and address stress parameters in them. Dr. Parviz Rashvand is a pioneer in many areas of Naturopathic Medicine in the UAE. He is trained both in conventional and natural medicine and has studied dentistry partially. Dr. Parviz is extremely passionate about helping patients suffering from cancer, MS, autism and other severe auto-immune and degenerative conditions. DR Parviz practices at Synergy Medical Centre in Dubai. Click the logo on the right to go to their web page (opens in new window). 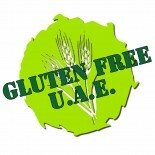 This entry was posted on 22/07/2012 by glutenfreeuae in Top 10 Tips! and tagged alternative medicine, glutenfree, health, tips.